Photographs: 131 photographs available, of which 16 are featured on this page. SCROLL DOWN FOR PHOTOGRAPHS. 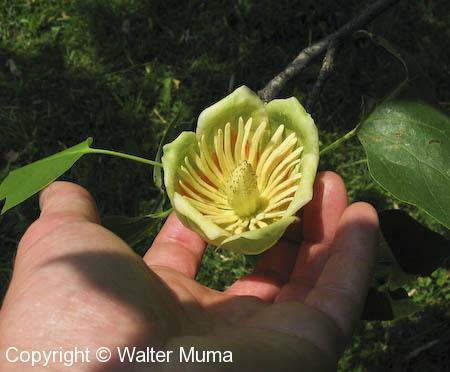 Tulip Tree flowers are quite large. 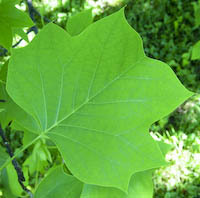 Typical and distinctive Tulip Tree leaves. A single leaf, upper surface. 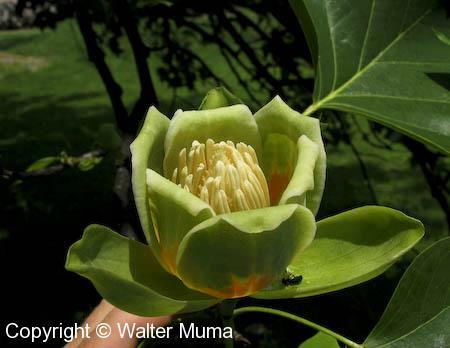 Some more photos of the spectacular flowers of the Tulip Tree. Remains of a flower in the winter. 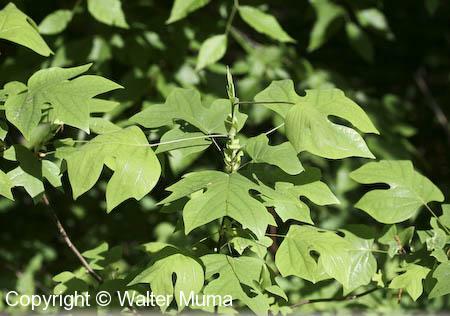 Tulip Trees can grow to be quite large. Flower bud in early spring (mid-April). Tulip Tree flower bud about to open, in mid-June.